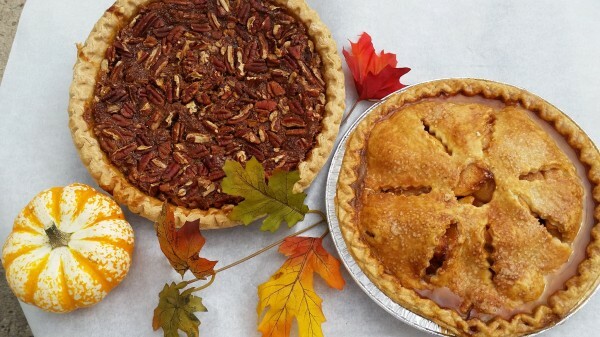 Time to dust off that amazing apple pie recipe you have stashed away for special occasions, because Way Fruit Farm is hosting its annual Apple Pie Contest on Saturday. Judging will begin at 10:30 a.m. Entries may be dropped off at Way Fruit Farm on Friday during normal business hours (8 a.m. to 7 p.m.) and Saturday by 10 a.m. The event is sponsored by First National Bank. 2) All entries should be baked at home from scratch with fresh apples—no store-bought crust or pie filling. Please mark the bottom of your pie plate so Way Fruit Farm can return it to you, or you can use a disposable, foil pan. 3) Entries may be from individuals of any age or families. All customers of Way Fruit Farm may enter; no Way Fruit Farm employees or immediate Way family may enter. Entries are kept anonymous until after judging. 4) Judging to be conducted by local representatives of First National Bank and Way Fruit Farm. 5) Judging will begin at 10:30 a.m. and winners will be announced at the conclusion of the judging.